set of 6 black coasters with shiny silver center. 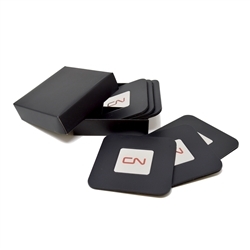 CN logo imprint. Gift box included.